Etxebarri : The Best Asador. Ever. 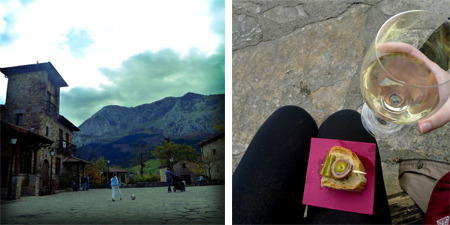 So, you know about Basque Country. That's good: most people just know Spain. 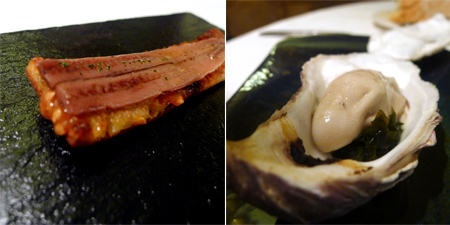 So, you know what a pintxo is...wow! And what's that? 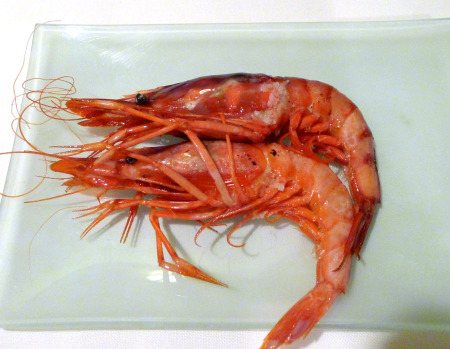 One day you want to eat at Arzak? Bonus point! 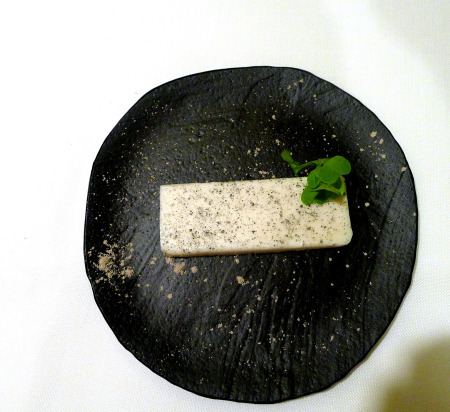 Mugaritz? Two bonus points. Etxebarri: The Best Asador. Ever. Also perhaps the Best Landscape Surrounding A Restaurant Ever. 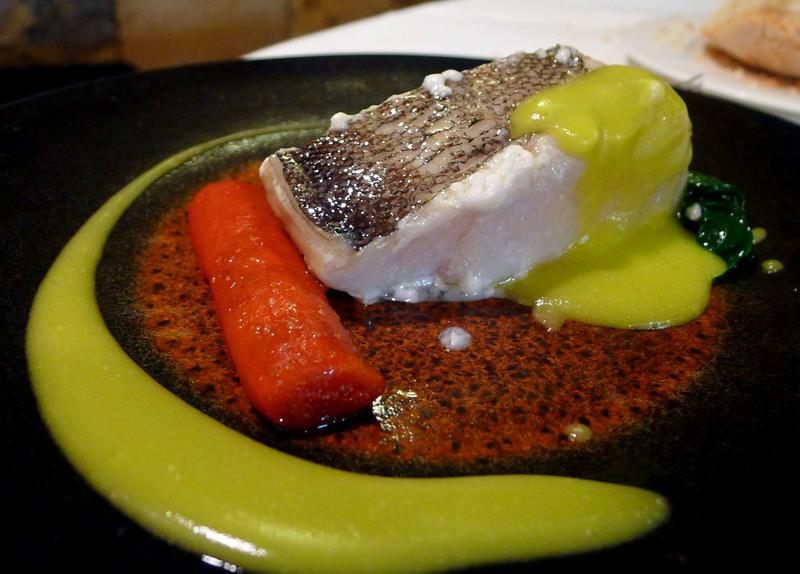 With an appropriately cheesy website (whose tagline reads: Quality and know-how | Probably one of the best kitchens in Basque Country), hopes are high when one heads out into the Bikaian hills in search of this isolated steakhouse. It's a small building in the center of a tiny quasi-village. The bottom level is a taberna, which could be confused for a run of the mill, country Basque tabern if it wasn't for the obviously artisan bread holding up these pintxos, the expertly chopped parsley garnishing the anchovies, and a fine wine selection. It is anything but typical. Example? How about some smoked goat butter? One of the best things, ever. We went, thanks to a wonderful friend with a birthday to celebrate. And at this place, at least for your first time, there's nothing to do but order the tasting menu. 12 courses, showcasing the best product, each carefully grilled according to its characteristics. So we set off on our adventure, starting with a creamy soup of smoked red beans. Divine anchovies, butter and smelling of fire. Oyster, served in its shell. Some shrimp just barely grilled, soft, tender, more perfectly cooked than any I've ever had. A parade of dishes, each one with a distinct character. Sea cucumber with white beans, porcinis, and truffles with egg. There has never been a steak this good. You would typically be hard pressed to convince me to down more than a few bites of steak, but this one disappeared, plate licked clean. Perfectly rare. I have no problem with declaring it one of the best steaks in the world. 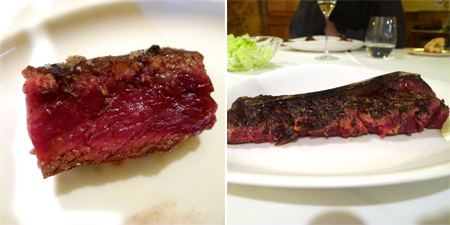 Next time I, Marti the Almost Vegetarian go to Etxebarri, I will order the steak only (60 euros). 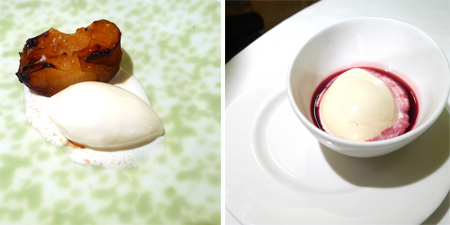 Dessert, roasted apple, cheese ice cream, smoked berry compote. This restaurant needs to be on everyone's list. It's the sort of place I would take idiots, food lovers, and chefs alike. And EVERYONE leaves happy.